1929 Negbaur Patent. Known as the "Turning Head Old Snifter". Well marked on base "OLD SNIFTER" and on his umbrella "NEGBAUR" and "MADE IN U.S.A. PAT'D". 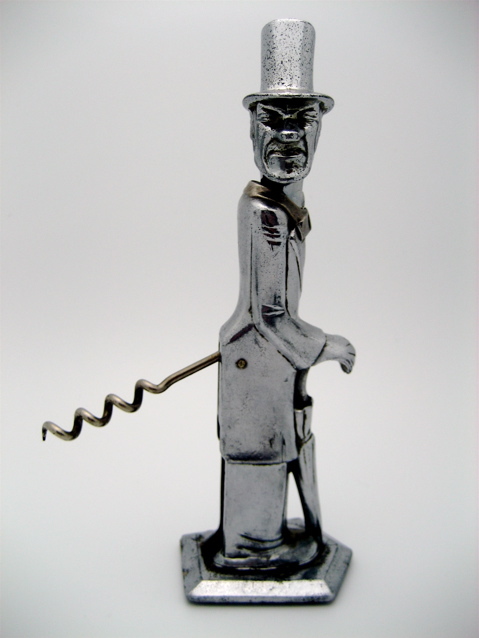 When you turn his head, the corkscrew will rise up. Good Luck!